What is most crucial for this paper’s analysis, however, is the vision through which al-Suri planned to achieve this. He aimed for this global jihad to be fought by “small resistance units” which would be scattered around the globe that would pursue jihad “totally separated from each other.” Each unit should be as autonomous as possible, with an individual “emir” and overall they should share little more than a “common aim, the common name, a program of beliefs and a method of education.” Structurally speaking, he sees three main types of units as central in developing this struggle: Building Units (which translates into being a leadership unit), Operative Units (which are as they sound), and Secret Agitation Units (essentially a media and communications unit) – with each cell in the overall jihad falling into one of these categories. The mission of the Building Unit is to spread the ideas and ideology of the organization, convince cadres to fight, and help with all aspects of indoctrination, training and funding. In essence this is a leadership unit which one can interpret as the focal point of the resistance – so for al-Suri’s thinking, the main such entity in the global jihad to fulfil this function would be the al-Qaeda core in Pakistan’s lawless provinces. The Operation Units are instead more obviously cells that are intended to be those that carry out the attacks. Al-Suri specifies that they should move into action almost as soon as they have been activated by the Building Unit, and he is quite specific that for operational security reasons, they should not expand to greater than between five to ten members. Finally, the Secret Agitation Units are defined as needing to be very small units of no more than one to three elements, with religious, media, ideological and communication experience. He specifies that they need to have “experience in using the Internet and communication equipment” and an ability to translate “works and communiqués” into languages of all Muslims. In the cases of all units, al-Suri repeats a mantra of operational security as an absolute priority, and in the case of agitation units, he places a particular emphasis on an ability to innovate. Taking this operational framework as a backdrop, it is useful to now observe how Aabid Khan’s Praline network might fit into it. However, it is helpful to first understand how Praline appeared on the authorities’ radar and the broader network of plots within which Khan and his two associates were convicted. In late October 2005, police in Bosnia raided properties on the outskirts of Sarajevo and arrested two young men, Mirsad Bektasevic (a Bosnian with a Swedish passport) and Cesur Abdulkadir (a Turkish national with Danish residency) in possession of suicide vests, weapons and martyrdom videos. Analysis of Bektasevic’s mobile phone provided a number of active leads for counter-terror officers around the world, including one that led to London and to the son of a Moroccan diplomat, Younis Tsouli. When police stormed Tsouli’s home in Shepherd’s Bush in London on October 21, 2005, they caught him in the middle of designing a website to be entitled “Youbombit” in a variation of the famous YouTube. While initially police did not realize, it later emerged through careful analysis of Tsouli’s computer that he was in fact the notorious online jihadist Irhabi007 (terrorist007) who had long taunted the world through his active support for online extremists around the world. As well as helping place videos online from groups like al-Qaeda in Iraq, Tsouli was instrumental in designing online magazines, logos, translating materials and also providing online training courses for other extremists to learn how to hack and hide materials online. One of his co-conspirators, Tariq al-Daour, was allegedly the “money man” of the plot and police found some 37,000 credit card details on his computer hard drive at the time of arrest. This money helped fund Tsouli’s activities and allowed him to continue to purchase the internet real estate he used to disseminate extremist material online. In addition, Tsouli’s computer provided police with a wealth of access to websites and password-protected areas. Tsouli, his conspirators and Khan shared managing rights to an extremist website called At-Tibyan. This wealth of information (as well as other intelligence efforts undoubtedly) opened them up to a network that spread from Aabid Khan and his cell in Bradford, England to Scotland and a young Scottish-Muslim, Mohammed Atif Siddique, who was arrested as he attempted to board a plane to Pakistan to seek jihadist training and who developed websites aimed at helping terrorists. Closer to home, Tsouli’s “buddy list” on his computer led to Yassin Nassari, who was arrested in May 2006 at Luton airport and charged with possessing documents useful to a terrorist (including the blue prints for how to design Qassam rockets). Further afield, it emerged that there were connections through some of these individuals to groups in Ontario, Canada and Georgia, USA, with others possibly extant but not currently known. Video footage shot in Washington that appeared to be reconnaissance of possible targets was found on Tsouli’s computer and was later revealed to have been taken by Syed Haris Ahmed and Ehusanul Islam Sadequee. In Canada, the trail led security services there to arrest a group now known as the Toronto 17, who are currently standing trial and it is claimed ran training camps and planned a wide variety of (unexecuted) attacks, including massive explosions and the public beheading of Canadian Prime Minister Stephen Harper. In March 2005, Ahmed and Sadequee visited Toronto; it is believed that they then met with some of the Toronto plotters. However, from transcripts and analysis that have emerged from the Praline case in the UK, it would seem as though the focal point of this network was Northern England and Aabid Khan. Khan acted as the global emir for the group, instructing individuals and recruiting new members, as well as being the link between the group and Pakistani based terrorist groups Lashkar-e-Toiba (LeT) and Jaish-e-Mohammed (JeM). He is known to have visited Pakistan a couple of times, on one occasion travelling deep into the North West Frontier Provinces into areas known to be friendly to both groups (where he shot footage of himself and other American-sounding individuals in an area where LeT posters were prominently displayed on public walls). Khan’s plans for the group are not completely known, in part as it is suspected that information linked to other trials is likely outside the public domain. However, it seems as though he wanted to gather a team of “6-12 brothers” in Toronto, where they would prepare and then travel to Pakistan to train for jihad. Through the sister-in-law of one of the Canadian plotters, whom Khan referred to on the stand as his “wife” and with whom it has been shown he had long and intense conversations with online, he apparently hoped to identify women who could pose as wives for “the brothers” to facilitate their transit to Pakistan. Khan was also discovered to have apparently carried out surveillance of security transit vans in the UK and on the stand he mysteriously alluded to the technical capabilities of such a vehicle to act as an independent command and control vehicle. The running theme through all these plots is two-fold: the internet and Aabid Khan (a possible third is the relative youth of all of those involved, but this will be covered later). While the network was first opened up through Tsouli, it is clear that Khan was the main manager and focal point of the group – though it is unclear to what degree he was directing Tsouli’s cell’s work or whether they simply worked in parallel. Nonetheless, we can see him fulfilling the “Building Unit” role in al-Suri’s imagined network – he provided the plotters with direction and plans, he sought and recruited new members (both online and off), and he provided the all important connection back to groups sympathetic to al-Qaeda in Pakistan. There has been no evidence thus far that Khan was connected to al-Qaeda, but on the stand he stated that he had connections to both LeT and JeM, and online chats show the group undecided over whether to connect and train with either LeT or JeM in Pakistan. Within this context it is worth mentioning that the Georgia cell was charged with providing material support for a designated foreign terrorist organization, which was identified as LeT. From his central point, Khan identified individuals and helped push them along the radicalization trajectory, and in some cases, as in Mohammed Atif Siddique’s, got them to go seek terrorist training in Pakistan. In other cases, as in the Georgia duo, he got them to prove themselves to the group by going to Washington to shoot the reconnaissance footage that was later found on Tsouli’s computer. He also travelled to oversee and connect with other plotters, including a trip in March 2005 to Canada to meet with the group and his online “wife,” and it is believed that one of the Georgia cell members may have travelled to Pakistan to meet with him on one of his trips there. As Karen Jones of the Crown Prosecution Service (CPS) put it, “Khan was very much the “Mr Fix-it” of the group” providing his Bradford cell with connections and radical material (his trial was referred to in the press as the “encyclopaedia of jihad” case) – a nickname which would be equally apt for his global role. To return to al-Suri’s analysis, Khan’s cell clearly provided leadership, ideology, training, inspiration, direction, and possibly even helped with fundraising to help various cells establish themselves – though the funding aspect of the network is unclear. Remaining at this level of analysis, it is therefore useful to consider Younis Tsouli and his cell (known by their police codename “Mazhar”), as the Secret Agitation Unit to which al-Suri refers. From his home in Shepherds Bush, Tsouli and his co-conspirators al-Daour and Waseem Mughal (some of whom had never met in person before they were arrested), acted as a global media cell for al-Qaeda, and in particular al-Qaeda in Iraq. They provided websites, hacking information and an ability for extremist material to be distributed and hidden online, translation, as well as helping design logos, magazines and other supportive materials for al-Qaeda. While it may have been Tsouli who first provided police with an avenue into the network, it seems subsequently clear that his role in the network was focused on the internet and communications. In this way, he can be described as fulfilling the role of al-Suri’s Secret Agitation Unit, fulfilling its mission “to spread the Call and redistribute its literature, its research studies, and its various programmes by clandestine means.” Tsouli helped complete their mission of “translating the works and communiqués of the Resistance” both by directly translating things himself, but also by cracking Arabic language software and placing it in online forums for public use by others. Broadly speaking, one could group the other plotters and cells within the network as the various Operative Units which al-Suri refers to at different stages of preparation – though it is unlikely that they were all as subservient to Khan as this might suggest. Of them, the Toronto group offers itself as the clearest example of an Operative Unit that was “moving directly to action” with evidence pointing to a group equipped with bomb-making materials including some three metric tonnes of ammonium nitrate. Subsequently, footage has been leaked which seems to show the group training in Canada’s empty spaces, with images of them running around overlaid with nasheeds (Islamic songs) typical of extremist online footage. While it would appear that Khan’s intentions were to bring the group together, he also seems to have been willing to push other Operative Units forwards on their own – one example being Mohammed Atif Siddique, who may simply have been going to Pakistan to train, but he may also have been being moved into a more operational role there. Similarly, some of the evidence in Khan’s trial, including the fact that he was seeking to purchase some fuses for fireworks and he had looked into purchasing acetone (a precursor to hydrogen peroxide, an increasingly common explosive in British plots). It also remains unclear why he was scoping out Securicor vans, though some evidence which emerged from the trial seemed to point to Khan plotting in a more direct way than simply leading and radicalizing the broader group. In terms that al-Suri would likely have commended, a page of Khan’s diary contained a list: “1 cell stake out target; 1 cell acquire equipment; 1 cell mount the attack.” While al-Suri is keen to designate each group a role (Building, Operative or Secret Agitation), it would fit with his structure that each cell would be actively planning direct jihad while also carrying out their other designated duties. In other ways, however, al-Suri would likely have been very disappointed by the group – while the network’s broad structure would fit al-Suri’s framework, the fact that they gathered and met a number of times exposed them to possible compromise. Similarly, the size of the Toronto group was clearly beyond the size that al-Suri would have wanted, and the fact that the group was compromised by an informant would seem to support al-Suri’s logic. Finally, the fact that the network was initially cracked through something as basic as mobile phone memory exposes the importance of rigorous isolation. None of this of course proves that Khan and his broader network modelled themselves purposely on Abu Musab al-Suri’s writings. While it is likely that some of al-Suri’s writings might have been amongst their possession, it is hard to know what sort of a direct impact they actually had on their operational planning and activities. What is interesting, however, is to consider this broader network within the framework of understanding that is provided by al-Suri’s plan for the Global Resistance. In many ways, al-Suri’s vision of a global jihad characterized by many independent cells is one that seems a natural evolution of any globalized scattered resistance movement. What is interesting about the Praline network is that it would seem to fit into al-Suri’s analysis in such a convenient way, suggesting that the structure he has laid out offers a good prism with which to consider current and future international jihadist networks. The particular emphasis within this plot of the internet and its central role in bringing the cells together points to the growing threat posed by the medium as a terrorist tool, but it might also offer security services a better understanding of how to appreciate and analyze terrorist use of the internet and the different roles played by individuals online. Within the context of this relatively novel technology (insomuch as one can still consider the internet new), it is also worth mentioning the youth of all of the cells involved, which included a number of teenagers, including Hammaad Munshi who was arrested and charged with Khan at the young age of 16 – a new record in British counter-terrorism terms. The youth and tech-savvy of the group was most vividly emphasized when Justice Peter Openshaw stopped proceedings in Younis Tsouli et al’s case to ask for clarification about some of the terms being used, stating, “the trouble is I don’t understand the language. I don’t really understand what a website is.” Justice Openshaw may be something of an exceptional case, but nonetheless, the ease with which younger generations use the internet and its growing centrality in citizens’ daily lives all points to a clear need for counter-terrorism officers to be well conversant with online extremism. This also further points to a possible evolution in terrorism that is only likely to become more pronounced as time progresses. The counterpoint to this youth question, however, is the consequent relative inexperience and inefficiency that the group also display. In part this is shown in some of their actions, but it also raises the adjacent question of whether the internet is really as useful a tool in such planning as was previously thought. It may provide very disparate groups with an ability to connect and develop plots together, but it also likely leaves some electronic trail which provides an all-important link for counter-terrorism police to target and links groups and individuals to terrorist activity who might otherwise not have been on security services radars. To return to al-Suri, this also raises the question of how realistic it is that completely discrete cells might exist – though again, the aforementioned operational security breaches that this group indulged in mean that from this perspective it might be hard to find flaws in al-Suri’s logic through this group. Finally, a caveat must be included that this article is only true as of time of going to press – there are a number of cases outstanding in courts around the world that are connected to this network, and consequently aspects of this analysis may become redundant or be superseded by events. Similarly, Praline may prove to be an exceptional case, with future plots instead falling back into traditional patterns of individuals from the same communities going down what could be described as more traditional paths to jihad at home and abroad. Nonetheless, in the author’s view, the underlying point remains that it would seem as though the currently known aspects of Praline and its broader network, and their similarity to al-Suri’s definition of al-Qaeda’s structure, provide a possible window of understanding into a new evolution of the terrorist threat that the West faces. Raffaello Pantucci is a researcher at the International Institute for Strategic Studies (IISS) in London, UK. 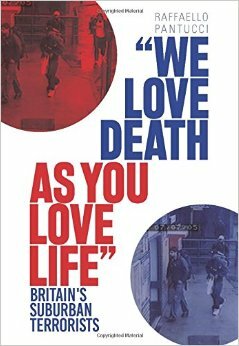 Many of the references of al-Suri’s work in this text are drawn from Brynjar Lia’s authoritative Architect of Global Jihad: The Life of Al-Qaida Strategist Abu Musab al Suri, (London: Hurst, 2007). “Un ‘yihadista’ en el limbo,” El Pais, 18 May, 2008. Quotes from Al-Suri taken from translations in Lia, Ibid., p.373. “Terrorist ‘Mr Fix-It’ convicted with two others of terrorism offenses,” CPS news service, http://www.cps.gov.uk, 18 August, 2008. Ultimately Munshi was only sentenced to two years incarceration, with Khan receiving much of the blame in his case, “Computer terror teenager jailed,” BBC News, 19 September, 2008. “Judge: What is a website?,” The Sun, 17 May, 2007.